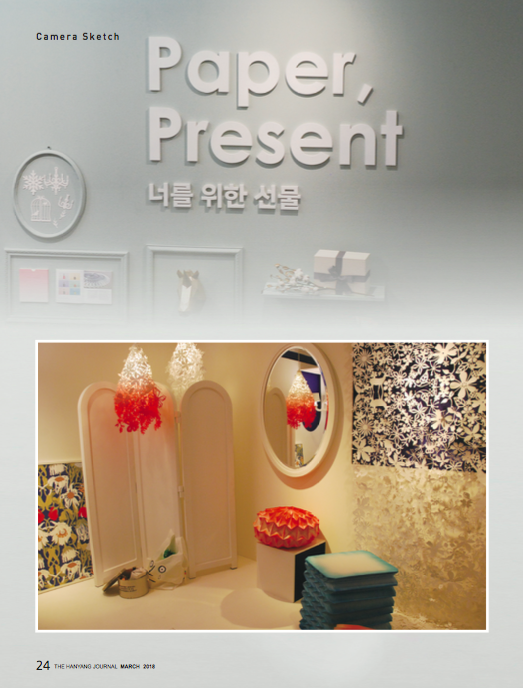 DAELIM Museum is holding an exhibition “Paper, Present: A Gift for You” until May 27, 2018. 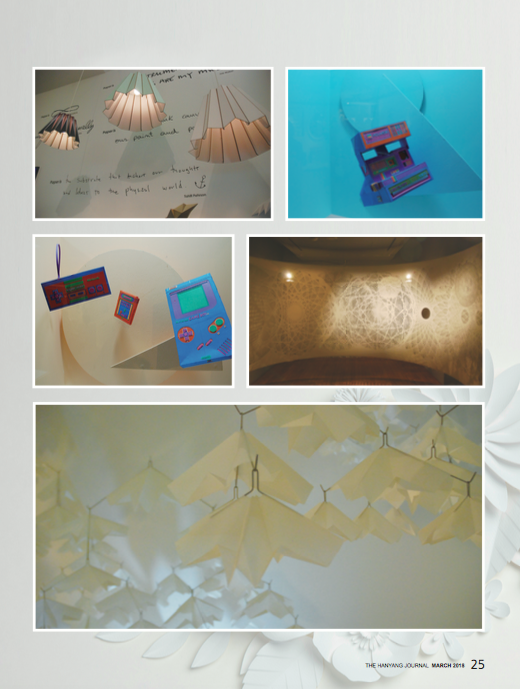 The exhibition introduces a delicate sensibility of artists from around the world, and the process of expanding paper from an analogical material into an emotional medium. The exhibition consists of seven spaces that remind us of a wonderful scene of nature, a moment when ordinary life becomes unfamiliar, and a memory anyone would have. 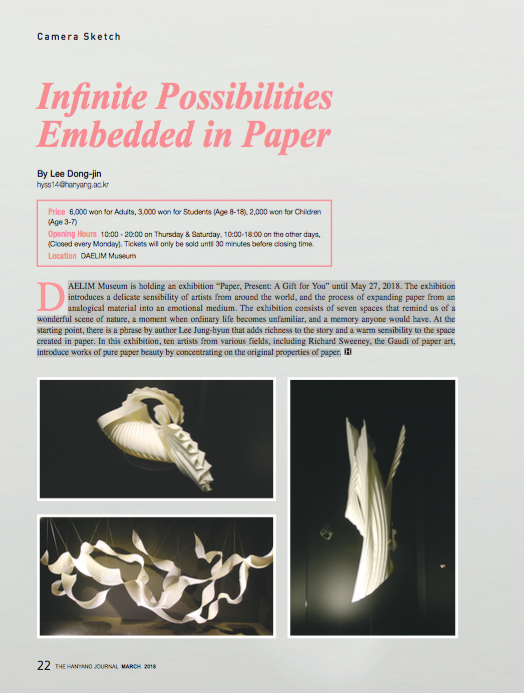 At the starting point, there is a phrase by author Lee Jung-hyun that adds richness to the story and a warm sensibility to the space created in paper. 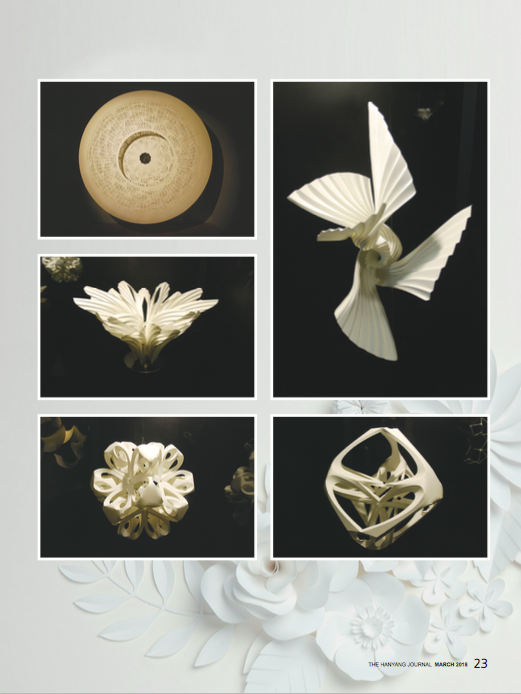 In this exhibition, ten artists from various fields, including Richard Sweeney, the Gaudi of paper art, introduce works of pure paper beauty by concentrating on the original properties of paper.